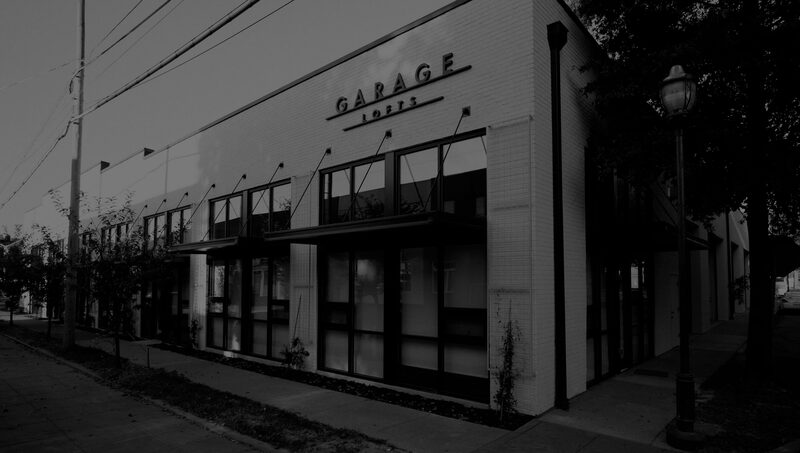 The Garage Lofts are beautifully renovated luxury loft apartments located in Chattanooga’s Historic Southside District on 17th & Cowart Street (map). 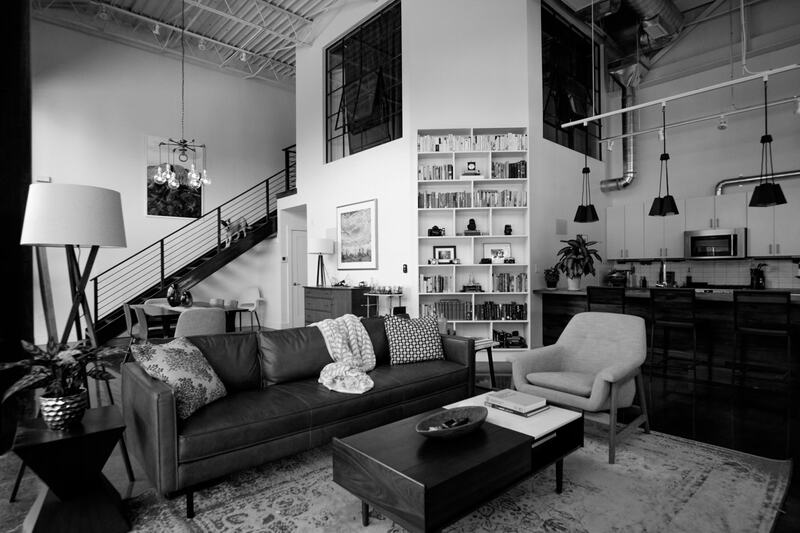 Repurposed from the Hailey Chevrolet dealership in the 50s, each unit combines exposed brick and steel beams, expansive windows, and tall ceilings from its industrial past with sleek design to provide a distinctive living experience. 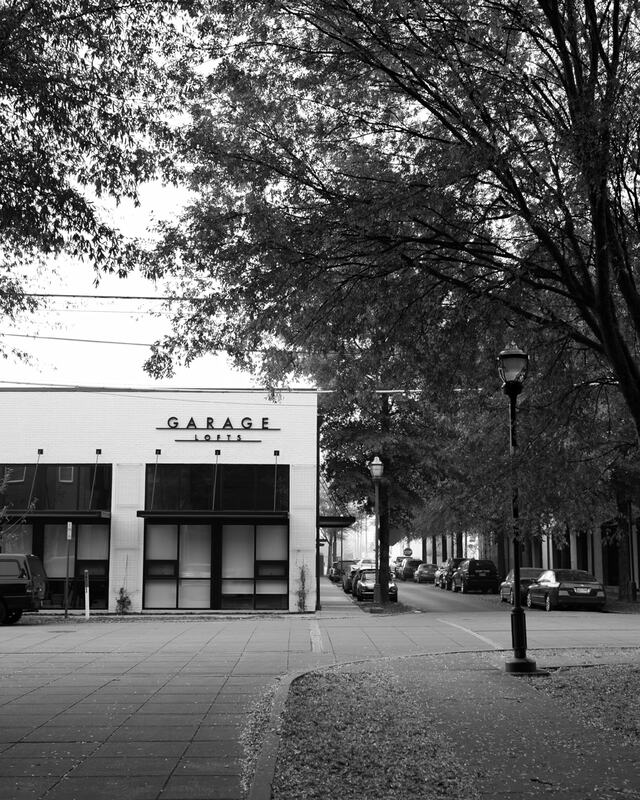 The Garage Lofts features 16 residential units across 20,000 sq/ft of space along with an additional 20,000 sq/ft of commercial space. With purposeful floorplans and upscale features the units offer ease in amenities for its residents. 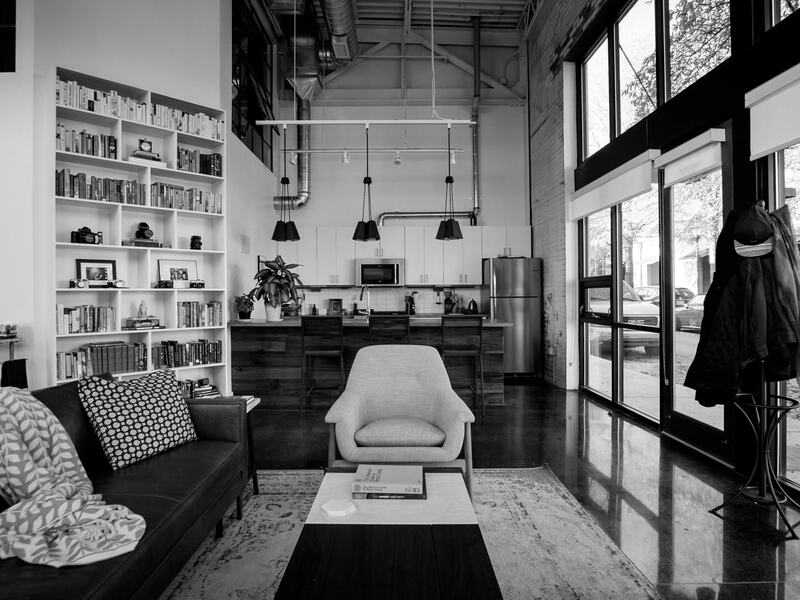 "As the owner and builder of the Garage Lofts, I am excited to offer Chattanooga loft-style living comparable to what could be found in Chicago or Brooklyn. Our design team has sweated over every detail. All cabinetry is handcrafted locally with concrete countertops. 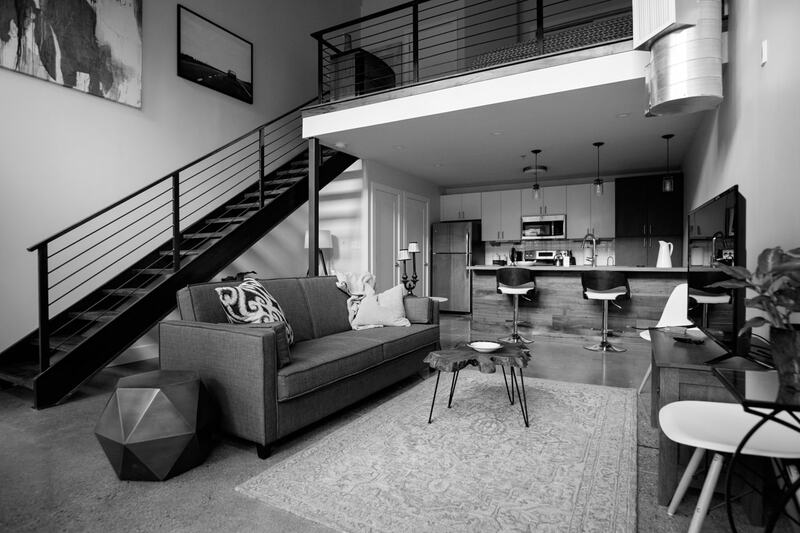 The concrete on the ground floors have been ground down and polished to a Terrazzo style finish, and we’ve built custom-made steel staircases to the upstairs living spaces. 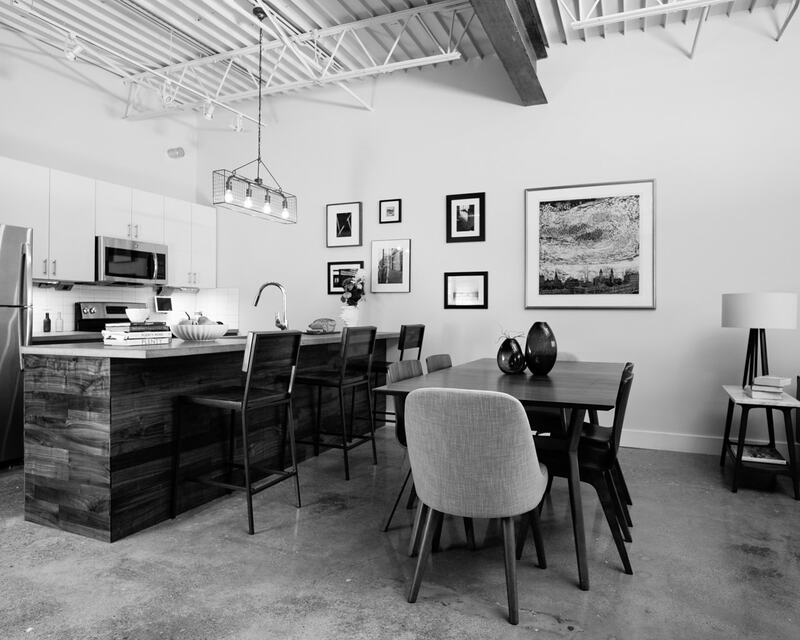 The light fixtures are high-end, and each kitchen is equipped with a built-in music system that will work with your iPhone or other mobile device. 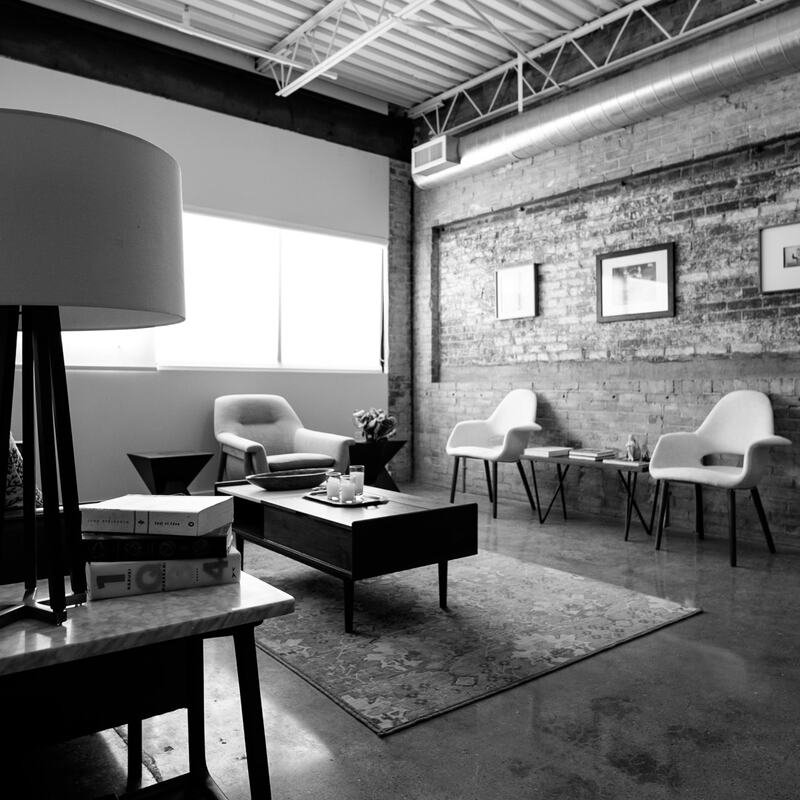 In short, our goal is to attract those who share an appreciation for well-thought-through designs and furnishings, and who want more out of their living space." 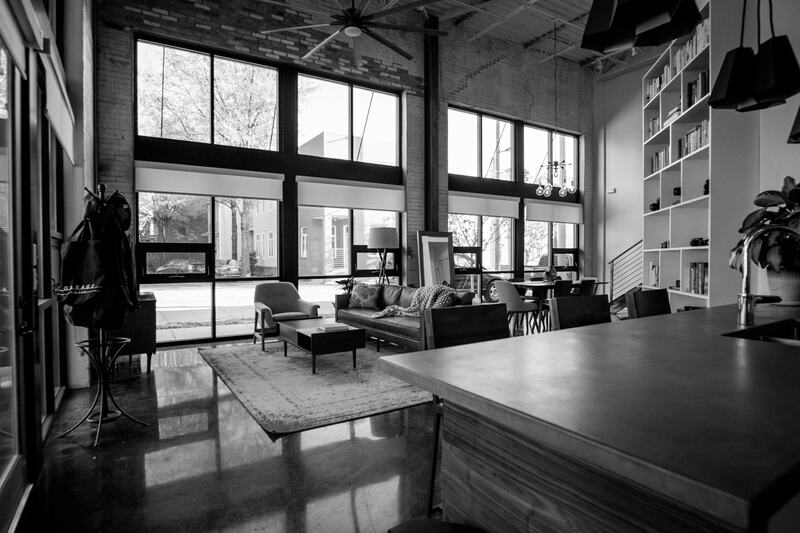 It could be argued that the Southside is Chattanooga’s renaissance district. 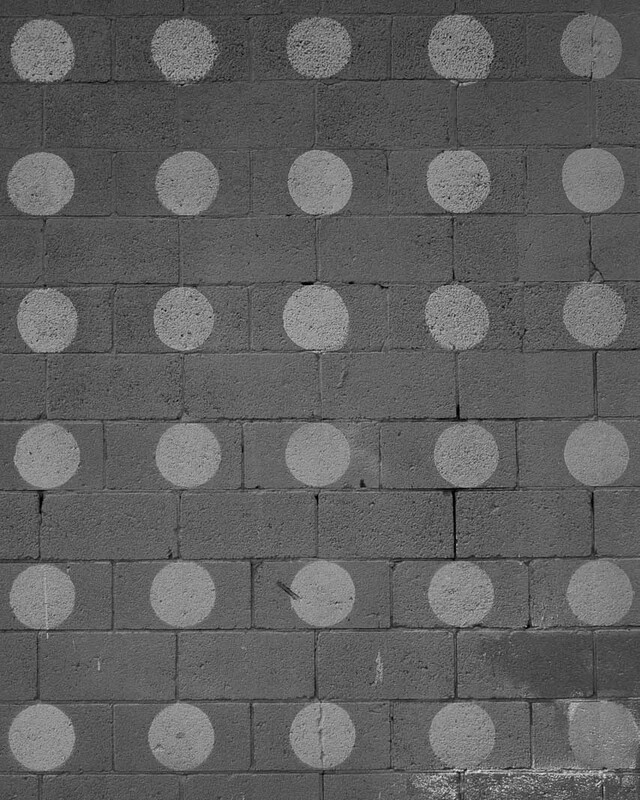 Up through the post war and into the 1950s, Chattanooga became a city known for its industry, with the Southside at its core. But walk down Main Street today and you experience a neighborhood transformed. 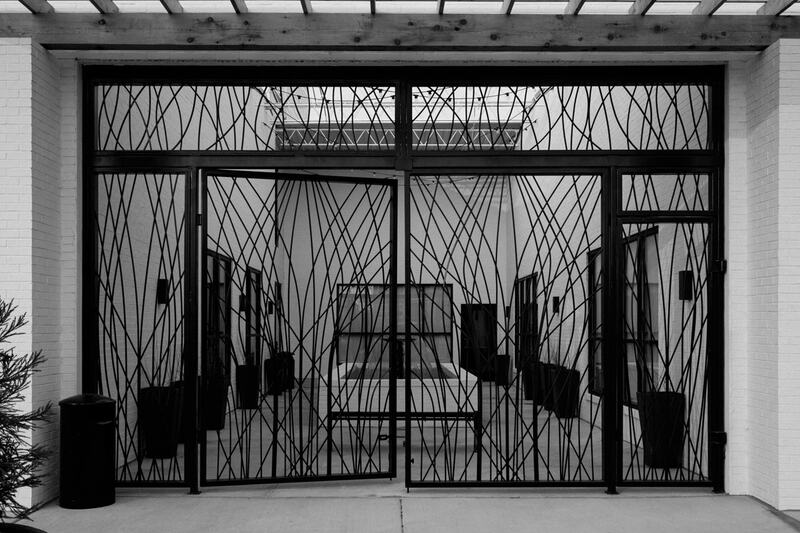 Enjoy craft coffee in the morning, chat with an artist in one of the local art galleries in the afternoon, walk two blocks from your apartment to catch an evening soccer match at Finley Stadium, eat dinner from an award-winning chef in the evening, and end your night with a cocktail inside a repurposed 19th century train station. 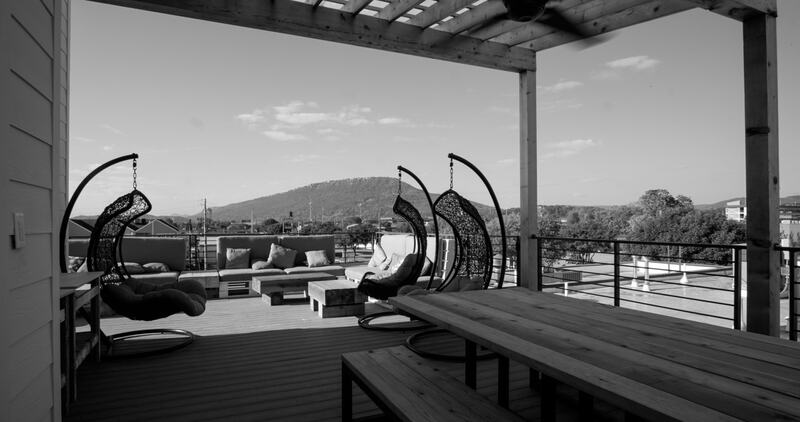 The Garage Lofts feature a rooftop patio that affords striking views of the sun setting over Lookout Mountain for residents to enjoy while entertaining guests or simply unwinding after a long day.